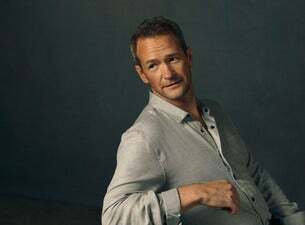 Alexander Armstrong is a television presenter, comedian, actor and singer. As half of comedy duo Armstrong & Miller, he has seen huge critical acclaim, as well as appearances on TV in The Sound of Music: Live, Beast and as the host of the BBC's cult quiz show Pointless. In 2015, Armstrong released debut solo album, A Year of Songs. It reached No.6 on the UK Albums Chart in its first week and topped the UK Classical Charts, the first time a comedian/actor has reached No.1 in that chart. This year, Alexander has announced All Mouth and Some Trousers. In his revealing new one man show, Alexander Armstrong will be baring all. Expect candid stories, laughter, music and some relief that ‘baring all' is just a figurative expression. Known from Armstrong & Miller to Pointless, from Hey Duggee to Classic FM, find out what lurks behind the mere noise. There will be songs, there will be stories and there will be trousers.... with any luck.